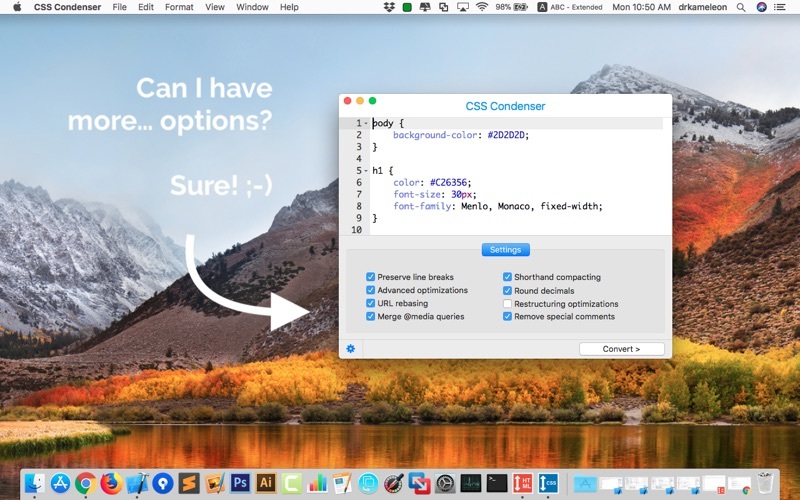 Quickly and easily COMPRESS and CONDENSE any CSS code - with JUST ONE CLICK! Want faster loading times for your website, with more compact files, a lot smaller in size? 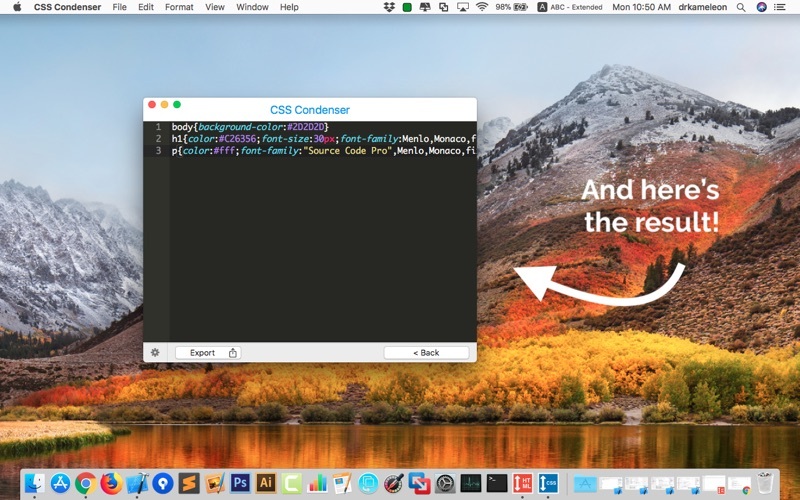 CSS Condenser is the right tool for you.